Film adaptations of video games are usually bad. Filmmakers face the choice of trying to faithfully transfer a source choked with awfully written lore like Assassins Creed or depart from the source entirely like Super Mario where the platform jumping turtle stomping plumber fights property developers in New York. What to make out of a casual mobile video game where there’s no real story and the sole aim of the experience is collecting cats and purchasing toys to keep them content? Neko Atsume House, when translated into English, means Cat Collector’s House. As delightful as this sounds, the narrative eschews producing a Rent-a-neko (2012) style quirky protagonist and gives audiences an every-man struggling in a real situation and shows the help he derives from cats in a gentle comedy. The character we follow is novelist Masaru Sakumoto (Atsushi Ito). He was once a celebrated hotshot in the literary world but a severe case of writer’s block means he is now forced to churn out a zombie-themed serial novel to earn money. Panicked by feelings of failure, he retreats to an old house in the countryside in a place called Tako town. It is here he aims to find inspiration and jump-start his creativity. With the change in location comes a change in pace. 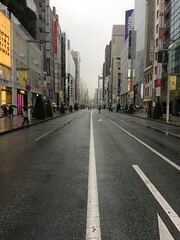 The surroundings are under-populated compared to Tokyo, quiet without the buzz of the city and its crowds and traffic, and life is slow, something which gets to Masaru who continues to labour with a lack of inspiration. With deadlines approaching and creativity absent, all but one of his editors, Michiru Towada (Shiori Kutsuna), lose faith in him and it looks like he might be dropped by his publisher. Down in the dumps and facing an existential crisis of sorts, he finds himself distracted by some house-guests as, one by one, neighbourhood cats start showing up. Masaru’s new house is their old haunt and despite his desire for solitude, well, who can resist cute cats? It isn’t long before he buys cat food. Then he needs toys to keep the cats active. Then he needs real advice from an expert. He gets it all at a pet store owned by Yoko (Tae Kimura), a mischievous middle-aged woman who takes a shine to naive and stressed Masaru. Throughout the film, there is a gentle pace and it gets even gentler as a Masaru retreats into his cat world, watching cats being cats – chasing toys, eating food, hanging out. These capricious and mysterious creatures each have their own natures and the writer in Masaru comes out as he observes them. Michiru offers her own advice, “You need to learn to be free like these kitties,” but maybe this isn’t quite on the mark because with freedom comes being distracted by his feline companions and Masaru escapes from reality. Can he claw his way back? There are occasional visual flourishes throughout all of this such as prodigious amounts of on-screen text when Masaru, slave to his reader’s comments, checks the internet but the camera has a more feline quality to it, observant and sinuously moving around areas, panning around the characters during their talks and scoping out Masaru’s garden as he gives in to becoming a neko-maniac, his house and garden filled with the accoutrements of a neko-keeper, presumably things you can purchase in-game, and he makes a cat scrapbook to document all his fellow house-mates. The look of satisfaction on his face matches the jaunty music of the film’s score but as much as this is fun, the real world soon comes knocking as money worries dog Masaru. This is all surely a nod to the game – in-game purchasing of items for pets that are a distraction from the real world. The comedy in the run-up to this creative dead-end mostly consists of miscommunication, the occasional pratfalls, exaggerated facial expressions but when Masaru’s new-found love of cats hits high gear, the film gets a little more serious. The writer has to find a way around his creative impasse or lose everything but watching cats has its benefits (as any owner will tell you). His feline friends allow him time for contemplation and also new friendships. Not such a waste of time after all! There are no forced romances or villains here, everyone is working and has their own lives and their goodness motivates them to help others. Shiori Kutsuna’s character is an earnest young editor able to see Masaru’s talent and works hard to foster it but she still has room to grow as she learns about how to handle writers. Her story has its own development that would continue without Masaru. The other major figure is Tae Kimura’s character who has an utterly charming personality. Her humane attitude creates a safe environment for Masaru to indulge his cat collecting mania and find himself again. Kimura ensures her character has a fun and alluring sassiness which acts as a prod to get the writer moving. She endlessly teases him and in one delightfully sensuous sequence she stretches and bumps her body up against the flustered man much like a feline as she purrs some advice, explaining how chasing cats is like chasing women. She has her own life and contentment and is not dependent on Masaru. Ultimately the narrative comes back to the titular cat collector and it is on him to drive himself forward. The film gets to that point thanks to the intervention of other characters and an army of cats who change his way of thinking but also his own self-motivation which comes alive and is shown in a short and subtle and profound flashback as he recaptures the feelings and memories that made him want to write, his original voice and inspiration. Everyone in the audience will be able to identify with his journey. So it turns out that the lack of a story is a boon as writer Yuji Nagamori and director Masatoshi Kurakata make a charming film with wide appeal. With the focus less on the game and more about the charms of the game, the collection of cats, and the people drawn to feline companionship. The characters are allowed to grow at their own pace and win over the audience in pleasingly developed character arcs that are sure to satisfy. * Quite frankly – the plot is one step up form watching the snail collect coins in the plant garden of Plants vz. Zombies One. This is a game that passed me by aside from a glimpse of it over at the website Polygon. The “day drinker”? Is this bottle refilled every day? What does this imply about the constitution of the drinker? The middle of the film is pure cats but they provide a comforting crash-landing for the lead character. The film is a relaxing watch and it’s sure to inspire people to get up and go with whatever Neko Atume House is distracting them from. You may get more from this film than one based on Plants vs Zombies! No, no, the bottle is just always there as is the cup. You can change all the other things in the yard (ie. the cat toys, food, beds, etc.) but not the bottle. So, picture a yard full of cats, a bottle and an empty glass and it’s no wonder I was always picturing some layabout drunk in the side yard! I’ll be looking for the movie now – maybe at a theatre where I can get a relaxing drink as well. Actually, it’s the perfect film to watch with a glass of wine! Yay, you reviewed this! I too am a Neko Atsume player (although of late I’ve kinda tapered off) and love how the game is all about cats. I’m glad the film manages to capture aspects of what makes the game so fun for players, even for those like myself who have a furry feline at home. I’The film even sounds a little like a modern-day version of the Neko Zamurai drama, which was loads of fun. Cat people are individuals with good taste. Fact. It sounds like players of the game will recognise a lot of the in-game items and will find amusement in seeing them put on the screen and they may recognise themselves. As for the cats themselves, they have a starring role alongside the humans. There’s a Neko Ninja film as well! The more I think about it, it’s this and the Resident Evil films which are the best film adaptations of games. Hahahaha, that Neko Ninja teaser is hilarious. It totally reuses the set of Neko Zamurai, I can recognise the dwellings and the general Edo neighbourhood set. If they haven’t already, they should get Kitamura Kazuki and Tama-chan to put in a cameo. I love dramas and films about/featuring cats, but sometimes become a bit of a weepy mess when watching them. Too many feels! I think I laughed and cried my way through Neko Zamurai. Hopefully I’ll feel a bit more sedate when I get around to watching Neko Atsume no Ie. I hope you have a good time with Neko Atsume House! I kept my expectations low going into the cinema (as it’s a film based on a game) but I was pleasantly surprised. Cats and the countryside provided enough charm for me. Lightweight, relaxing, slice-of-life. This sounds like such a sweet film. I haven’t played Neko Atsume in ages. I wonder how my cats are going, and who’s feeding them?! Oh man, I hope the game doesn’t keep running even if you’re not playing! I know that’s a feature in similar games! The film is relaxing and sweet. It’s easy to watch as well. Hope you enjoy it.